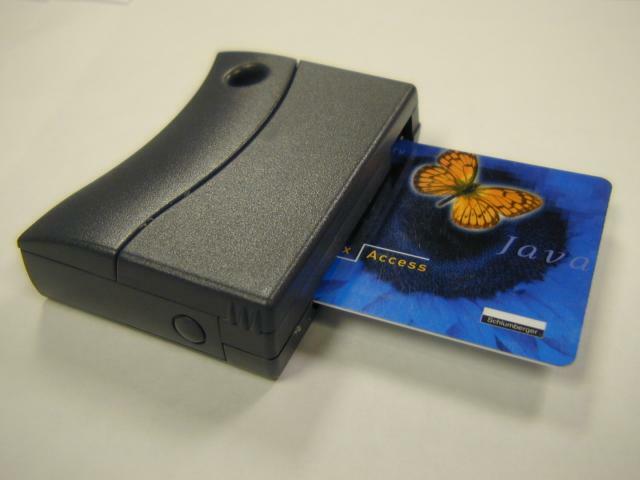 The Palmreader is a smart card reader for 3com Palm computers. 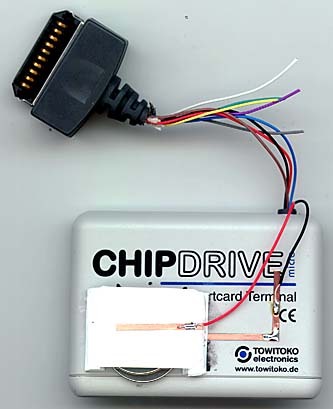 It is made from a Towitoko Chipdrive Micro reader, a Palm hotsync cable, two 3 volt lithium button cells, .67 mm polyestyrene, glue, wire, copper tape, and solder. 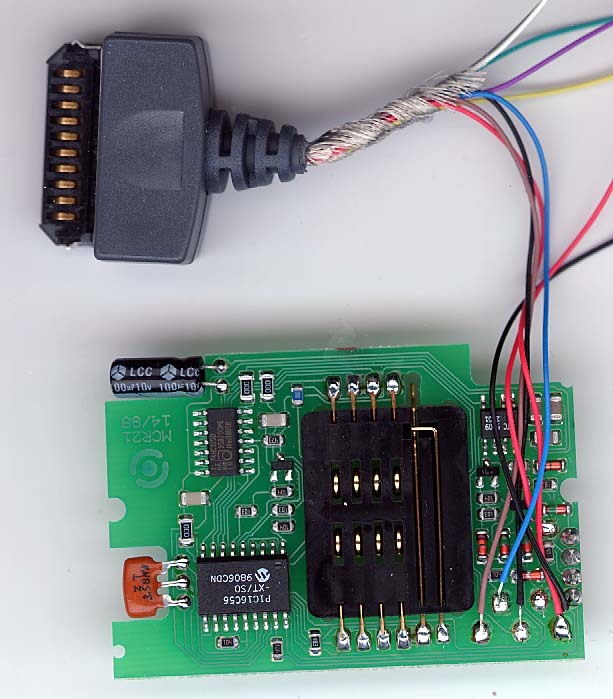 First the DB-9 cable is removed, then the hotsync connecter is cut off its cable and connected to the reader. The reader back in its enclosure, the lithium cells, and the sheet polystyrene battery compartment. Battery compartment glued to the reader, with copper tape connectors. 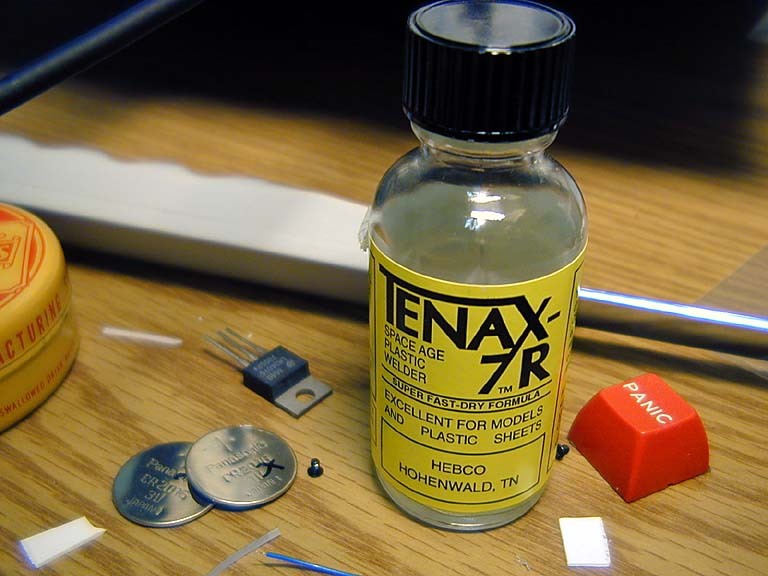 Tenax space age plastic welder, used for attaching battery compartment and Palm connector to the top of the reader enclosure. Works better than TOPS-10 plastic welder. Finished reader connected to Palm computer. Screen shows a Schlumberger Payflex value checker program in operation. 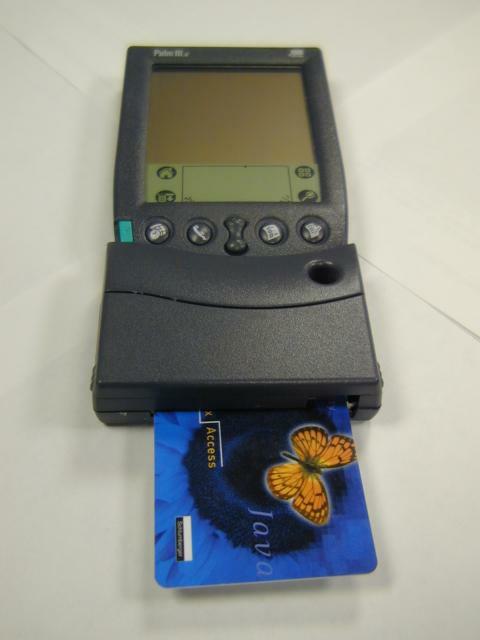 Palm III, reader, and smart card. 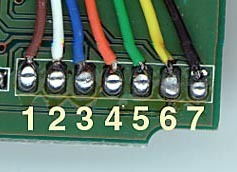 Note the colors will vary from one Towitoko cable to the next. What's important is to match the Palm pins to the pads on the Towitoko. 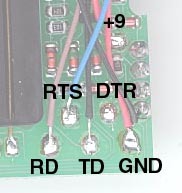 This reader is based on the older style Towitoko with the 9 volt battery. 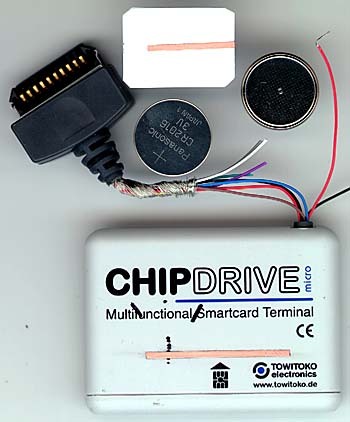 The newer one with inline battery has different pinouts, and the battery charger would have to be disabled. 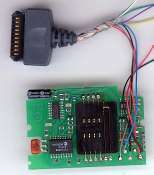 The 9 volt and inline battery models have been discontinued and replaced with the model 110, which derives 5 volt power from a ps/2 connector. 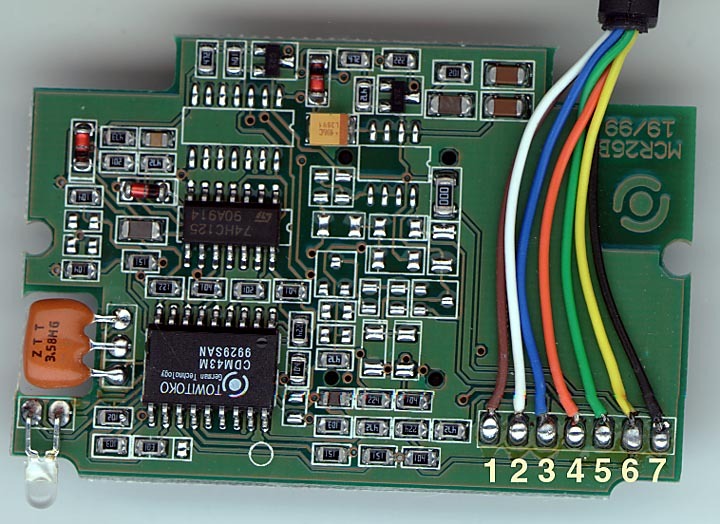 For power I would like to use a single 3 volt lithium cell and a 5 volt step up converter chip. 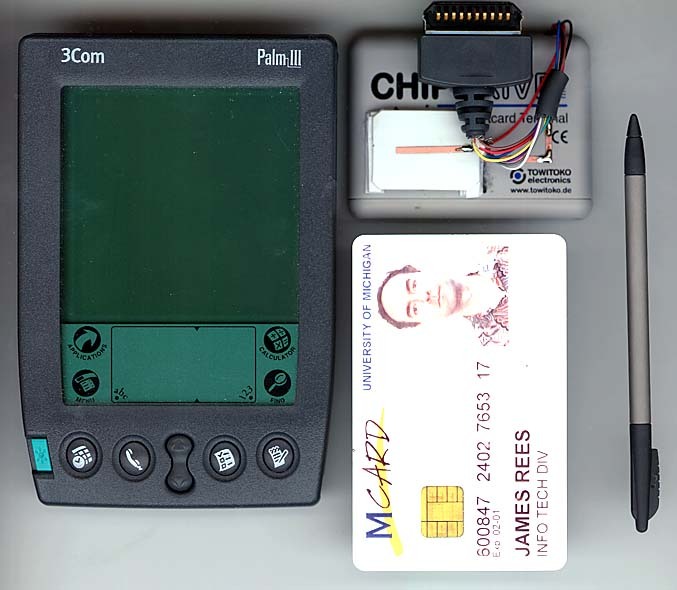 The one I looked at is the Telcom Semiconductor TC125. This would give much better battery life than my current model, which stops working when the battery is only partly discharged, because of the low headroom on the series voltage regulator chip (similar to 7805). If you are a power expert please lend me some advice. 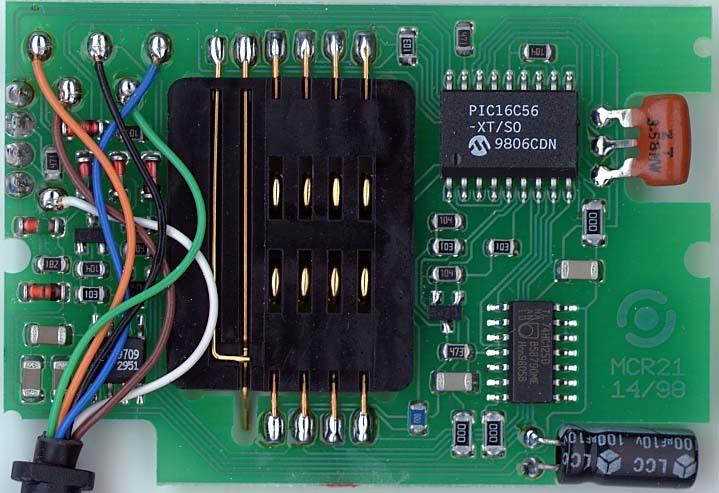 We are now building readers in to Palm modem casings. This one uses a Chipdrive 110. Power is supplied by two 3 volt lithium cells. There is a power switch but no regulation. The reader doesn't seem to mind the extra voltage.